Cajun food exists in my memory mainly from that faddish moment in the late 80s when jovial Dom DeLuise look-alike Chef Paul Prudhomme became a sensation. Suddenly, everything was blackened (not like minstrelsy, kids, don’t worry).. My mother, perennially excited about new recipes, carefully measured out the various spices, pressed them onto some fish and put it into a hot saute pan. Almost immediately the house was filled with throat-choking smoke redolently tinged with red pepper. This is not to critique my mother, who is the best all-around cook I know (indeed, if I’m ever on death row my last meal will be her eggplant parmigiana, a dirty martini with 3 olives and a jar of Nutella and a spoon). It was just part of the experience. 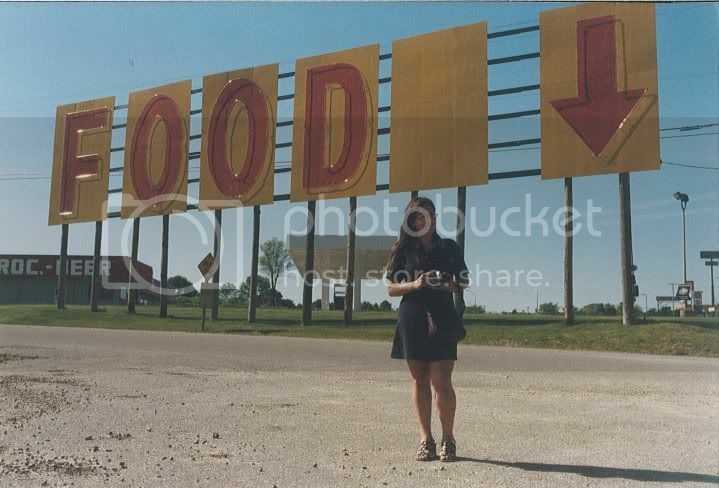 Cajun food was new, at least to folks outside of a narrow band in the south. It was hot, like big shoulder pads and Huey Lewis and the News. And then it was mostly gone, another culinary wayside marker in the sped up food culture of the late 20th century. 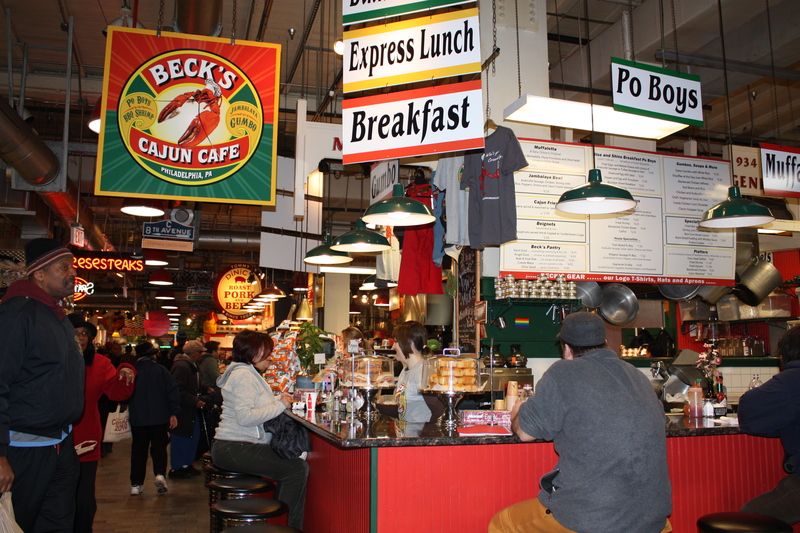 When my companion, a visiting friend from Colorado and I wandered into Reading Terminal Market one hungover morning, the last thing I would have suspected is that he would see the sign for Beck’s Cajun Cafe’s alligator sausage po’boy and break fifteen years of vegetarianism for one. 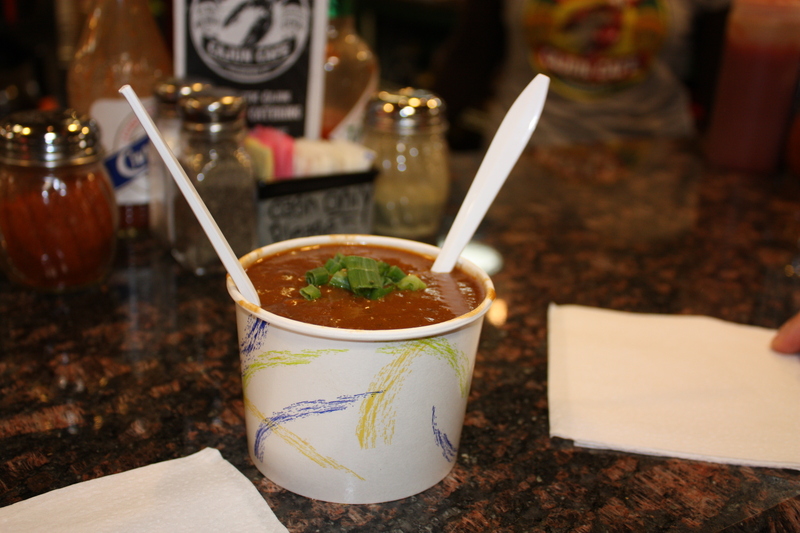 Needing good, solid food in our bellies, we also split an “appetizer” of shrimp etouffee, which was so flavorful and rich, roux-thickened to the perfect consistency to cling fiercely to the rice it was served over, I thought we wouldn’t even be able to make a dent in the po’boy. Wrong. The sausage, pink, soft, doesn’t resist being bitten at all, strange considering that it’s source—alligator—would much prefer to do the biting. Just behind that meatiness is a sinus-tingling shock of grain mustard followed by the oily, mellow sweetness of onions and peppers cooked till almost caramelized. Put all of this on a hoagie roll and you’ll have an alligator sausage po’boy, but probably not as good as the one served up at Beck’s Cajun Café. In fact, I’m not sure why this hasn’t been a serious contender in the “best sandwich in Philadelphia” contests that seem to happen every other week. In a display of pure gluttony, we followed it with bread pudding, sinful for something so commonplace. We’ve been back numerous times. The last, I watched, amazed as the five or so staff served a line of approximately 1200 people in a kitchen the size of my desk. On another visit, a cook weighed balls of macaroni and cheese for their deep-fried version of this concoction. Beignets are on the menu too, offered up by chatty young women who serve those who eat at the counter. Is this Southern hospitality at work? I’m not sure. I’ve never been to Louisiana, never got to see what New Orleans or Mississippi looked like before Katrina (and the oil spill). Mostly, and you can call me an elitist liberal northeasterner, I had no interest, assuming that what I would find there would either be tourist nonsense or scary backwaters. But this food! It makes me reconsider, with much anticipation. Addendum: in the interest of adding more photos to this post, I dragged my companion back to Beck’s. Sadly, they were out of alligator sausage, which caused me such consternation that the waitress actually told me that everything would be ok. A little sadly, I agreed to a replacement oyster po’boy with a side of snapper soup and cornbread. When the waitress asked if we wanted the cornbread grilled, I knew there was only one answer–hell yes. I’ve already described my abiding affection for cornbread, and let me tell you Beck’s may have shot to the top of my list. 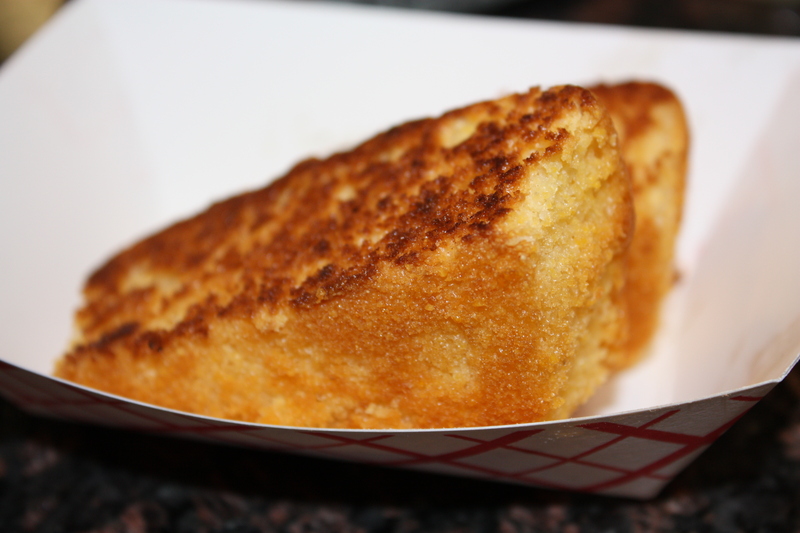 The cornbread is sweet, almost dessert like, but that char on the edges gives it a sultry tang that balances it all out. The snapper soup, like the etouffee was thick, filling and delicious. Following it with the briny crisp of cornmeal-dusted oysters served with a cajun mayo and pickles is one way to insure that you’ll have a happy afternoon. That being said, I’m already looking forward to my next alligator sausage. hello, little oyster! and now you die. Recommended: alligator sausage po’boy; etouffee (they’ll give you a sample! ); grilled cornbread; snapper soup, and probably everything else, but I keep going back for those two things. 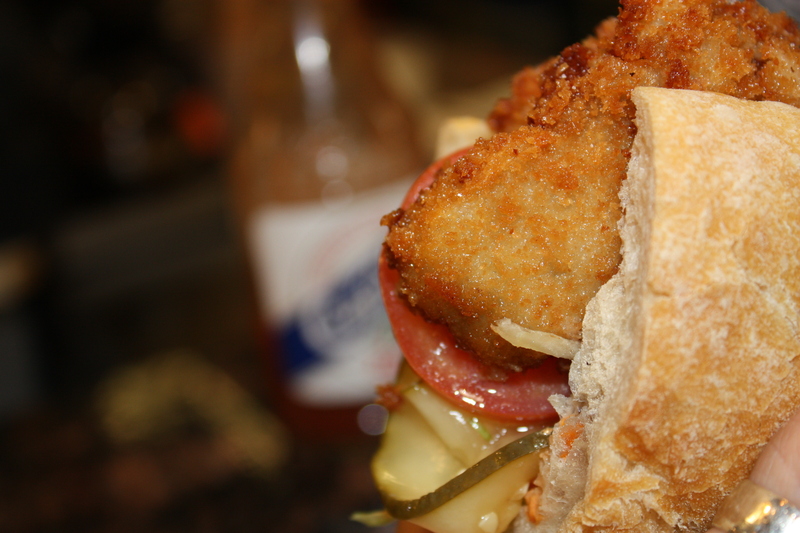 This entry was posted in food, Philadelphia, Uncategorized and tagged alligator sausage, beignets, best sandwich in Philadelphia, cajun, Ethnic food, etouffee, food blog, Philadelphia, philadelphia food, po'boy, Reading Terminal Market. Bookmark the permalink.